► Constantly continue your personal networking activities in addition to working with recruiters. ► Only apply to jobs that you are truly qualified for — don’t try to stretch your qualifications or mislead recruiters with exaggerated information. ► Try to clarify the hiring timetables for any positions you discuss, and the expectations for follow-up communications with recruiters you speak with. ► Keep in touch with any recruiters you are working with, but don’t over do it. Remember: recruiters don’t find Jobs for People … they find People for Jobs — a very different concept! It seems like everywhere you look these days, there are headlines screaming with unemployment numbers. Statistics purporting to show how many people are working or not working are thought to be an indicator of the general health of our economy. Now we all know that news organizations have a natural tendency to sensationalize things to gain ratings. They tout numbers designed to show us that things are either getting better or getting worse, depending on what flavor of news you choose to follow. Viewers of FOX News will likely get a very different picture of things than viewers of CNBC or CNN. Lately I’ve been seeing headlines with statements like “Unemployment Rates Dropping,” and “Applications for Jobless Benefits Falling” and “Employers Adding New Jobs.” The government loves to brag about their wonderful accomplishments. Presidents love to claim that things are better than they used to be, and take credit for improving our lives during their time in office. But are those statements and statistics meaningful and accurate? Do they tell the whole story? Statistics are an interesting thing. It’s been said that you can prove or disprove just about anything with statistics depending on what your sample is, how you count things, and how you interpret the results. 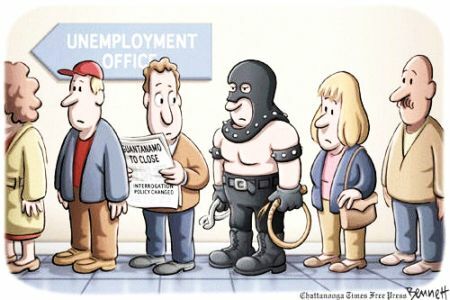 At the height of the most recent recession — around the end of 2009 — the U.S. Bureau of Labor Statistics reported the national unemployment rate to be around 10%. Today, that number is around 3.7%. That sure sounds like things have gotten better, right? But here’s the dirty truth about those numbers: they are only counting a small percentage of the actual potential workforce population. They are NOT counting people who are “underemployed” — i.e. people who have taken low-paying jobs well below their experience level just to pay their bills. They are NOT counting people who have taken part-time jobs — in some cases just a few hours a week, and usually without any benefits. And most importantly, they are NOT counting people who have been out of work for so long that they’ve become discouraged and have “given up” looking for a job altogether. For anyone in those last categories, these government statistics are a cruel joke, indeed! 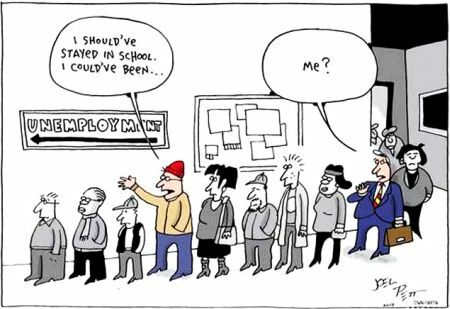 So, what is the “truth” about the current unemployment picture? Again, it depends on how you count things … but here’s an interesting tidbit I came across: According to the Gallup organization, 30 million Americans are either out of work or severely underemployed. Gallup defines a “good job” as one that is at least 30 hours or more per week with a company that provides a regular paycheck. Using that definition, they’ve recently determined that in the U.S., only 44% of adults age 18 and over have “good jobs.” They go on to say that in order to restore America’s middle class, the target for this should be at least 50%, with 10 million new good jobs. Elsewhere, AP reported that U.S. employers added 223,000 jobs, but despite widespread job growth, overall there is a shrinking workforce. As as recruiter, I can certainly attest to the fact that in almost every specialized job category, there are more job openings than there are qualified candidates! I keep hearing the term “Talent War.” Among my peers in the staffing industry, there is a widespread feeling that qualified talent is getting harder and harder to find in almost every category. One of the most obvious explanations for this growing talent shortage is simple demographics. In 2011, the oldest of the Baby Boomers (people born between 1946 and 1964) started turning 65 — the traditional retirement age. Of course more and more people now expect to keep working past the age of 65 … but sooner or later just about everyone reaches an age where full-time work is no longer a desirable option. We are now seeing the beginning of a mass retirement movement unprecedented in American history – a radical demographic shift in the makeup of our work force. 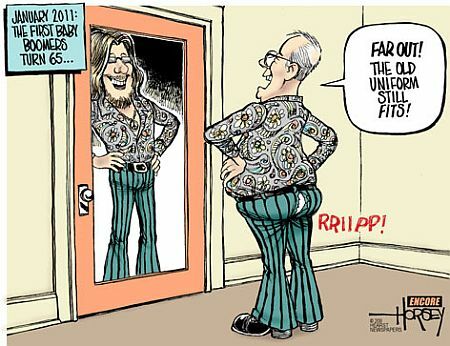 All told, there are about 76 million people in that Boomer generation who will, over the next couple of decades, drop out of the work force. By contrast, there are only about 51 million “Generation X’ers” (people born between 1965 and 1976) who could potentially step into all those higher level jobs that the Boomers are retiring from. That leaves a huge talent deficit: at least 25 million fewer potential experienced workers!!! Every year around December, people in the media seem to feel compelled to wrap up each outgoing year with various Top-10 Lists – usually featuring news events, movies, songs, TV shows, books, etc. Each December since I started Recruiter Musings back in 2009 (our visitor count recently surpassed 1 Million hits and we’re still going strong!) I’ve been posting a couple of my own “Top-10 Lists” for Job-Seekers, as well as a list of suggested New Year’s Resolutions for Job-Seekers. In reviewing those prior lists, I found that they are mostly still very relevant and timely! Oh sure, a lot has changed in the world during the last few years. But in terms of my view of the most annoying and the most helpful things for job-seekers … well, my opinions and suggestions have aged well! I’m still very annoyed by people who don’t return phone calls, and I still think Twitter is a huge waste of time! And I’m still a firm believer in the power of Networking as the number one job-seeking methodology with the best chances for success. Likewise, my suggested New Year’s Resolutions from the last few years are still the same ones I’d advise today’s job-seekers to aspire to for the coming year. If you are an active job-seeking candidate, then I think it’s safe to say that you are in pursuit mode, right? You are probably spending the majority of your time searching for and pursuing target companies, networking contacts and decision-makers within those companies, HR people, recruiters and any job opportunities you hear about that match your background and experience. All in all, these can be very time consuming and often frustrating activities. 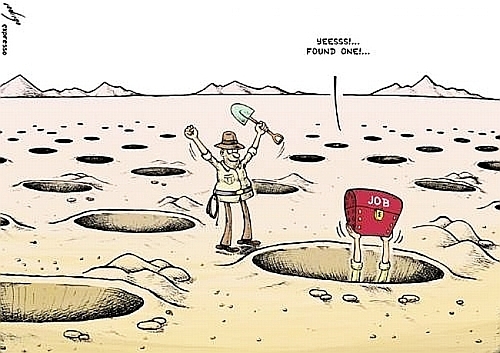 Wouldn’t it be great if the reverse were true: if jobs would find you, instead of the other way around? Wouldn’t you like to be the one who was being pursued instead of you always trying to chase others down? Wouldn’t it be fantastic if hiring managers from companies, HR people and recruiters would search for and then contact you about jobs they thought you matched??? Passive Candidates are people who are currently working and not really looking for a new job at all. However (and this is a key point) they might be open to new opportunities, depending on how they are approached. Companies with jobs to fill rarely solicit passive candidates directly. Instead, they will engage Executive Search Firms and recruiters who specialize in placing people in permanent, full-time positions and who usually target passive candidates on behalf of those client companies. Passive candidates are highly sought after by so-called “Head-Hunters,” whose goal it is to get someone to leave one job and go to another. [Read “The Real Truth About Working with Recruiters” for more on how “Head Hunters” differ from other types of recruiters.] For a variety of reasons (not all of which are logical) candidates who are currently working are perceived in a better light than unemployed job-seekers by most potential new employers. This is especially true if someone is working for a client company’s competitor! Recruiting passive candidates is not an easy process … but can actually be a lot of fun and quite a challenge for many recruiters. It involves a lot of networking, cold-calling and old fashioned sleuthing. It boils down to pure consultative sales techniques. Once a passive candidate is identified and contacted, the recruiter has to establish trust and rapport with that person, find out what their career goals and desires are, and then convince them to consider interviewing for a job with their client — something they were not looking for, or really even thinking about before that initial call. There needs to be a compelling story to be told by that recruiter which explains why moving from company A to company B would be in that candidate’s best interest. That usually comes down to one of three things: higher compensation, opportunities for career growth/advancement, or a better company culture — or some combination of all three. Active Candidates on the other hand, are people who are actively looking for jobs. These are candidates who are either “in transition” (i.e. not currently working full-time) or are actually employed somewhere but unhappy and seriously looking to make a change from their current job. Companies with temporary or permanent jobs to fill, as well as staffing firms and recruiters who specialize in contract-consulting jobs tend to target active candidates since they are generally available immediately. Unlike passive candidates, active candidates typically post their résumés on job boards and respond to job postings. For recruiters, active candidates are not as difficult to find as passive candidates — or at least they shouldn’t be! If you are an active job-seeker, it is obviously in your best interest to maximize your online visibility as well as your “searchability” in order to be “found” by recruiters and HR people at companies searching for candidates with specific matching skill sets. It’s no secret that LinkedIn has now eclipsed all the standard job boards as the number one go-to place for recruiters to find candidates. LinkedIn has radically changed the way potential employers and recruiters find candidates, and companies search for and uncover details about potential employees. Many companies are now actually dropping their Monster and CareerBuilder accounts and relying on LinkedIn as their main source for talent acquisition. Creating an effective online profile on LinkedIn is one of the most important things a job-seeker can do right now. From a recruiter’s point of view, one of the most frustrating aspects of LinkedIn is that it is not always easy to figure out if a person is an active job-seeker or not. Many people portray themselves on LinkedIn as working full-time, when they may actually be active job-seekers who simply don’t want to reveal their true status. They might think (as per the reasoning explained above for passive candidates) that they will appear more desirable if they are not unemployed. The trouble with that reasoning is that if I, as a recruiter, am looking for active candidates — I might not contact someone who appears to be working full-time! Another LinkedIn frustration is that even active job-seekers who say they are looking for new opportunities usually fail to provide any direct way to contact them (i.e. an email address or a phone number.) If you are not a first-degree connection, the limitations of LinkedIn’s messaging system will be a big road-block to anyone trying to contact you with a job opportunity. Keyword searches are usually the first method used to find résumés and LinkedIn profiles with specific skills that match job descriptions. 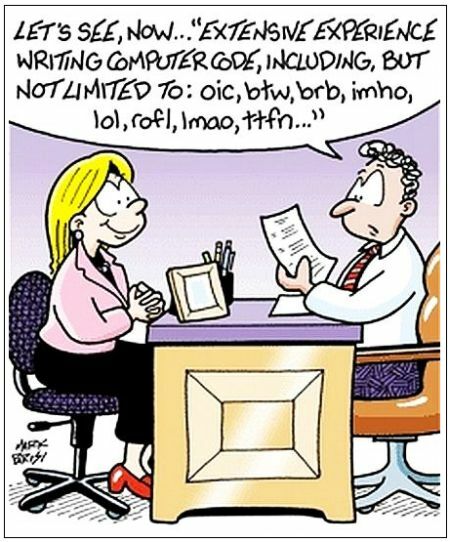 If the right words or phrases are not present in your résumé or profile, you simply won’t come up in a search done by a recruiter or an HR person. You should make sure that your résumé uses the language and commonly used buzzwords or phrases that appear in the typical job descriptions within your industry niche. Study those job descriptions and copy those buzzwords and phrases into your résumé and profile. Also look up other people who do what you do, and see what keywords appear in their profiles for more ideas. Try using a free keyword search tool like “WordStream”, or any number of other keyword generating tools that you can easily find online. When someone searches for keyword matches on LinkedIn, the results are ordered first by how closely connected you are to them, and then by how often those keywords appear in your profile. Test your own profile’s effectiveness by using LinkedIn’s Advanced Search function: pretend that you are a recruiter and search for people who do what you do in your own geographical area. Try copying and pasting some key phrases from a job description you think fits your background into the keyword search field, or a job title you are seeking into the title search field. Does your profile come up anywhere near the top of the search results? If not, look at who does and try to figure out why: what do their profiles have that yours doesn’t? What keywords do they have that you don’t — and how frequently do those keywords appear? Now add those things to your own profile (if they truly apply to you) and try the search again! In addition to LinkedIn, you should also have your keyword-optimized résumé posted on all the major job boards (Monster, CareerBuilder, etc.) Companies, Staffing Firms and recruiters pay lots of money to subscribe to and be able to search in those job-board résumé banks. Did you know that when someone searches the job board’s résumé banks, the results are often displayed in the order of who is the most recently updated? Anyone who has ever done a basic Google search already knows how that process works … you click through the results on the first two or three pages, and most people rarely go any further. Does anyone actually look to see what’s been found on the hundreds of pages that follow those first few? If your résumé doesn’t appear on those first few pages of a keyword search, your chances of being found drop off dramatically. How can you fix that? Easy: edit and then re-post/refresh your résumé posts at least once or twice a week. Change something/anything on your résumé or profile to refresh/re-post it online. It can be something as small as one word! Refreshing/Re-Posting it will bring it back closer to the top of the search results. If You Are an Active Candidate, SAY SO! Add Contact Information to Your LinkedIn Profile! As explained above, failing to include basic contact information (email address or phone number) somewhere in your LinkedIn Profile will make it much more difficult for anyone who finds you to contact you … unless you are already a first degree connection. Relying on LinkedIn’s internal communication tool is much too limiting. Add your contact information in such a way that anyone who views your public profile can see it and email or call you. Speaking strictly from personal experience as a recruiter, I am much more inclined to reach out to people on LinkedIn who have photos than those who do not. I always prefer LinkedIn profiles with photos, as long as they look professional and not goofy. I tend to spend more time reviewing the photo profiles … they seem more honest and inviting. Plus, it helps me remember people I’ve met, puts names and faces together, and makes me feel I am more connected to people. Profiles without photos seem more generic, incomplete and anonymous. I always suspect that they are hiding something! The goal of all of these steps is quite simple: make it easier for recruiters and potential employers to find and then contact you. Instead of you doing all the chasing, you want to make yourself more “Searchable” which will increase the odds that the perfect job will find you! Several times each month, I receive random calls and emails with unsolicited résumés from job-seekers who say, in effect: “Can you help me find a job?” My response to those people is usually some variation of my often-repeated mantra: “Sorry, but recruiters don’t find jobs for people … they find people for jobs.” I then point them to this blog for further clarification: “The Real Truth About Working with Recruiters.” Still, I feel bad for those seemingly clueless job-seekers who apparently need some basic direction on how to conduct an effective job search campaign. Some are young, inexperienced job-seekers with minimal practical work experience. Others are in their prime working years, but have decided to try switching to a new career in which they have little or no experience. [For more on those types of situations, read “Advice for Recent Grads and Career-Changers.”] Still others are older, more senior level professionals who unexpectedly got caught up in the rampant layoffs during the economic downturn of the last few years and have suddenly found themselves totally unprepared for a job search so late in life. The toughest of those cases are the ones who have been working for one company for most of their lives, and haven’t needed to write a résumé or interview anywhere in decades. Having done their last job search during an era of fax machines, cold calls and door-to-door pavement pounding, those older job-seekers are often lost in the fast-paced modern world of mobile computing and social media. 1) Soul Searching: Exactly What Are You Qualified For? The job searching process starts with some soul-searching. What are you actually qualified for, based on your past work experiences? Exactly what type of job are you looking for? What is your industry niche? What is your particular area of expertise? What job function makes the most sense as a next step for you? Answering those basic questions is easy for some, and confusing and difficult for others. However, figuring those things out determines everything else that follows. Only you know what you are experienced at, and what you are truly qualified for. 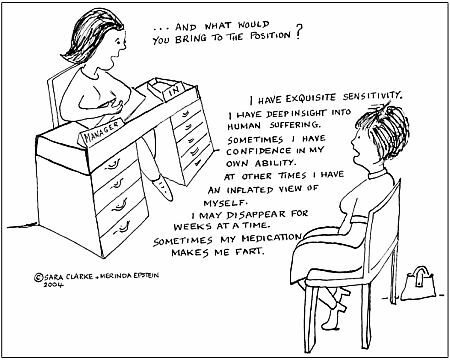 If you cannot answer those questions easily, then it may be time for some serious career counseling. Pursuing jobs that you are really not qualified for can be a huge waste of time for many people, including the people you might network with in that pursuit. You should also consider things like how far you’d be willing to commute every day, what size company you’d be comfortable in, etc. The more you can narrow down exactly what type of position you’d be most qualified for, and exactly what type of company you’d like to work at where such a job exists, the more effective your job search is likely to be. The key is to narrow your focus as specifically as possible. 2) Prepare an Effective Résumé. 4) Develop a Target List of Companies. Every job-seeker should have a target list of companies that are specific to their industry niche, and are likely to have jobs that fit their background and experience. Your goal should always be focused on getting in front of the people who are either decision-makers in those companies, or are directly connected to those decision-makers. If you don’t have such a list of target companies, stop everything else and make one!!!! This list is critical, and should be your road-map for moving forward on your job search. This takes some research. My advice is to use a professional business database like Dun & Bradstreet’s Million Dollar Database Premier or ReferenceUSA Business. Anyone with a public library card number can log into those databases from any home computer! (Ask your local librarian for help if you don’t know how to do this.) This gives you access to full information on millions of companies, including every business in the U.S. and the leading businesses in Canada. Use the advanced search mode to generate a list of companies that are the most likely to have jobs like the one you think you fit. To do that, put in search criteria that fit your profile. Company look-ups can contain multiple search criteria, including location by zip or area code, industry, size, products, number of employees, revenue, and specialty fields. Try using keywords specific to your niche. Keep narrowing the search criteria until you get the list to under 100 results. If this is your first search, I’d say to go even further and narrow it closer to 50. (You can always go back later and widen this list to get more targets if you exhaust your first list.) Print out the list and look it over carefully. You can probably eliminate quite a few companies based on things you already know – places that you’ve heard bad things about, places that you know are in financial trouble or any number of other personal red flags. Simply cross those places off the list. What’s left is your first target list! 6) Become an Effective Networker. 8) Brush Up On Your Interviewing Skills. 9) Follow Up and Stay Organized. ► Following Up: An Essential Key to Success. Final Thoughts: Attitude is Everything! I’ve coached thousands of job-seekers during my many years as a recruiter. If there’s one thing I’ve learned about the entire process that holds true for almost every industry and every position, it’s this: the number one most important factor that determines who gets hired and who doesn’t is NOT who is best qualified, who has the most experience or skills, or who has the best résumé. It’s attitude! People hire other people that they like, and want to be around. Real enthusiasm for a position or a company, true passion for your work, a sense of humor, and a genuine projection of positivism and optimism are the qualities that make a person attractive to others. It’s nearly impossible to fake those qualities. There’s no question about it: job-seeking can be a real drag, and certainly has the potential to grind a person down. Don’t give in to negativism. Stay upbeat and positive, and keep the faith. Everything described in this 9-Step Guide actually does work, and good things can happen to people who project positive energy! In the world of job-searching and recruiting, when you hear the words “Age Discrimination” or “Ageism,” most people think of the all-too-common practice of discriminating against older people in the job market. However, there’s another side to that practice. “Overqualified” is only one end of the spectrum, while “Underqualified” is at the other end. 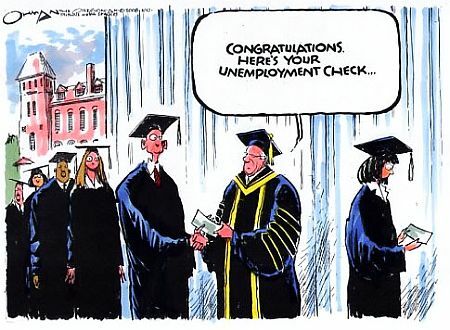 Recent college graduates are now facing a job market that has radically changed over the last few years of economic downturn. Finding a decent job if you’ve had little or no actual real-world experience – other than academic – is harder now than it ever was before. Two of my kids (twins, actually) are both seniors in college right now. Both are making plans for continuing post-graduate education. Expensive as that will be, I shudder to think what their chances of finding an actual job would be if they stopped where they are and entered the market in June – one with a degree in Biology, and the other with a degree in English. Both will graduate at the top of their class, have done several practical summer internships specific to their fields, and have glowing letters of recommendation. So what types of jobs would you think they’d be qualified for? (Can you say: “Would you like fries with that?”) How much earning power would you expect those expensive Bachelor’s Degrees to give them? What advice would I give to others who are in a similar position … young people with college degrees, but almost no practical job experience? It’s a tough question – and one that I’ve been asked many times over my years as a recruiter. It is similar to the situation faced by job-seekers who might actually be older, but for one reason or another have decided to change careers in mid-stream and start down a new path. They might have gone back to school for a new degree, or simply made the decision to begin pursuing a new vocation … one in which they have no prior experience. I see that all the time. People who want to try sales (but have never done it before) … or people who get technical training or certifications in some IT niche that they’ve never had actual job experience with … or people who want to switch industries, thinking that their “transferable skills” will qualify them for jobs they’ve never done before. In all those cases, they face an extreme uphill battle finding a job in today’s employment market. Right now the competition for every job opening is fierce, and the market is overloaded with masses of unemployed or underemployed candidates – many of whom have years of practical and very specific job experience under their belts. So what’s my advice? It’s not really too different from the advice I’ve given to other job-seekers who already have the experience that those younger or career-changing people do not. Present yourself – in both your résumé and online profiles – in such a way that you feature any and all experiences you have actually had in your target career – even if they are not actual jobs. And if you don’t have any experience to speak of … go get it! The most obvious starting points are Internships & Co-ops, and Volunteer Opportunities. Both can often get your “foot in the door” with a company that might potentially hire you in the future. Showing people what you can do, how well you can do it, and demonstrating your exceptional work ethic – even if it’s not in a paid position – can bring you to the attention of professionals who notice such things, and reward them when opportunities open up. Internships & Co-ops in a new field are a great way to gain practical experience in a new career. When describing an internship or co-op on a résumé or online profile, don’t just list the place and your title. Expand on your responsibilities. Feature the relevant industry-specific skills you used. Describe specific projects you worked on. List any and all accomplishments you achieved while there. Use industry buzzwords and keywords in your descriptions so that you’ll be picked up on searches done by recruiters and HR people looking for candidates … and so that you’ll match job descriptions in your target industry. Many job-seekers use volunteer work as a way of gaining experience in a new industry or job path. 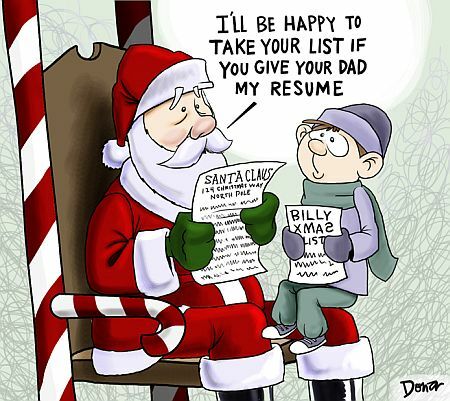 If you have volunteered somewhere, then list that volunteer position on your résumé. However, do NOT use the term “volunteer!” Simply list the organization and your title or role, describe your function, relevant skills used, and any accomplishments there just as you would with any of your other jobs. Let the fact that you are not being paid wait for an actual interview, where you should then disclose it. And as I said with internships & co-ops, use industry buzzwords and keywords in your descriptions of your volunteer work so that you’ll be picked up on searches done by recruiters and HR people looking for candidates … and so that you’ll match job descriptions in your target industry. Now that we’re past Labor Day, and summer breaks are mostly behind us, job-seekers are probably hunkering down and trying to get back to their daily grind of hunting for employment. 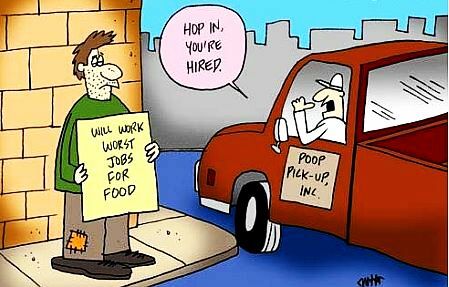 To ease everyone back into the work world, I figure – what better time than now for me to take yet another break from my usual “advice for job-seekers” mission, and offer up this 4th blog of pure humor?! [See “Volume 1”, “Volume 2” and Volume 3” for the last three editions of this popular side-trip!] After all … it’s always good to start off a new work week with a good laugh. Once again, I’ll point out that I fully realize that being unemployed is generally not a laughing matter. However, much like “gallows humor,” the intention of “job-seeking humor” is quite simple: to lift the spirits of people who are in an otherwise depressing situation. I’m a firm believer that maintaining a sense of humor is a key component to positive mental health. And I’m a still a tough critic when it comes to job-seeking humor. I figure, if it makes me laugh out loud, it’s worth sharing here! Thank you for your letter of [date of the rejection letter]. After careful consideration, I regret to inform you that I am unable to accept your refusal to offer me employment at this time. This year I have been particularly fortunate in receiving an unusually large number of rejection letters. With such a varied and promising field of candidates, it is impossible for me to accept all refusals. Despite [Name of the Company]’s outstanding qualifications and previous experience in rejecting applicants, I find that your rejection does not meet with my needs at this time. Therefore, I will initiate employment with your firm immediately. I look forward to working with you. Best of luck in rejecting future candidates. Enter your email address below to subscribe to “Recruiter Musings” and receive notifications of new blog posts by email.